It’s a cliche for a reason, because it’s true. Money can do a lot of good things for people, but it can also cause a whole lot of big problems. It’s at the point that you start to think that money can buy you out of doing the hard work of life that problem comes in. This can and often does become easily mixed up with parenting, because wealthy parents want to support their kids and protect them, just as all parents want to support and protect their kids. If you are in a place to provide a lot of monetary support for your children, you’d think it’s a good thing right? However it’s not always a good thing. Sometimes it can backfire badly. Fencing is often a sport that is associated with higher social classes, going all the way back to its beginnings. It is considered a sport of kings after all. World class fencing teams are generally associated with elite universities like Duke and Harvard. Fencing equipment is expensive and traveling to competitions is expensive, so there has to be a certain amount of money involved to progress in the sport. 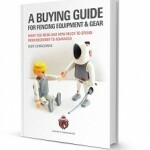 The question is all about where we draw the line and how we create the most supportive experience for our fencers while still letting them stand on their own two feet. The recent arrests in the college admissions cheating scam involving big name actresses Lori Loughlin and Felicity Huffman, as well as dozens of other wealthy parents, has been eye opening to most of America. They’ve definitely shown that, while money can buy you some advantages in life, there’s a limit to those advantages. If you try to get all the way around the system, you’re going to find yourself in a lot of trouble. For those readers not familiar with the scandal, here’s a quick refresher. In March of 2019, the FBI executed a massive set of warrants in what has turned out to be one of the biggest scandals to hit the university admission system in the history of the United States. Fifty individuals were arrested early in the morning when FBI agents showed up at their homes, and more arrests are expected. These people were executives and high profile entertainers, government leaders and powerful businesspeople, and most of them were charged with felonies that carry heavy jail sentences. They’d all been caught in a scheme in which they paid a phony charity organization to help get their kids into elite colleges that these young people would otherwise have not been able to attend. Some of them paid to have answers changed on the SAT or ACT, some bribed college coaches in sports like water polo or soccer (many coaches and university officials have been arrested and charged as well). Some of them even faked sports pictures with gear bought online and the teenagers posing for fake teams. The details are shocking, and they keep pouring out. Some of the kids knew what was going on, but many had no idea their parents were doing this to get them in. We are talking about millions of dollars here to buy high school students spots in elite colleges including Yale, Stanford, the University of Southern California, Wake Forest University, and others. This operation took more than a year for the FBI to execute, with inside informants facilitating the recording of conversations with parents and school officials that are now going to be used as evidence of bribery and fraud. It’s a big, bad, horrible situation. The worst part isn’t even the kids who got into these schools, many of whom now face possible expulsion as their parents face possible prison sentences. The worst part is thinking about the kids who did work hard and whose parents were honest, but who now have missed out on their spot at a top college because someone cheated. How many others out there are involved in these schemes? This can’t be the only one. Many sports have been involved with this scandal, with tennis coaches at Georgetown and the University of Texas at Austin, a volleyball coach at Wake Forest, former coaches in soccer at the University of Southern California and at Yale, a sailing coach at Stanford, and a former water polo coach at the University of Southern California all being arrested so far. 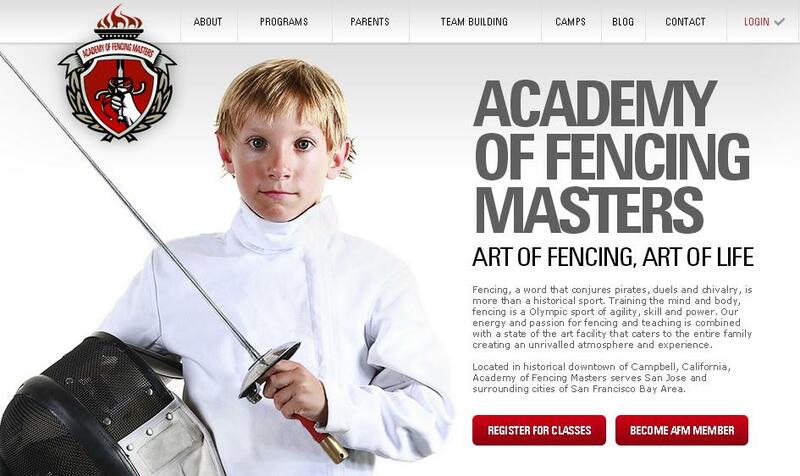 As of this writing, no one associated with fencing has been implicated. If you haven’t learned much about this massive tidal wave of cheating, we encourage you to learn more about it. There will surely be repercussions for all college sports, including fencing, following these court cases. Sports were used viciously and wrongly in the college cheating scandal. Parents bought equipment off the internet and had their kids pose with the equipment, then they fabricated whole high school careers where their kids were supposedly star athletes. It’s the kind of thing that just makes those of us who work hard or watch our children work hard so frustrated. Here’s the thing – these kids didn’t really get ahead. Their parents didn’t give them a leg up in life, they actually robbed them of the precious opportunity for growth and personal realization. We have seen it so, so many times in our fencing club. A kid comes in on a whim or because their parents are forcing them to choose an activity. Then they either learn to love fencing, or they fade off and go fill their time with. Either one of those choices is completely valid. Sometimes kids come with natural talents for sports, but sometimes they don’t. Having a medal around your neck is not the point. Getting into a better college because you were a fencer is not the point. A picture in the newspaper or a bunch of likes on social media, those are not the point. The point is the sense of satisfaction and pride that a fencer feels when they accomplish a goal. You cannot put those things in a bottle, and why would you want to? We are here to live life to its fullest. Cheating your way to get there, that’s not going to let you feel the way that you want to. Forcing your kids to keep fencing when they are over it or to help them get into college, that’s not going to work out. What the parents in the cheating scandal did isn’t going to work out either. One terribly sad thing to come out of this scandal has been the stories of the kids. Many of them don’t seem to see the value in their education, saying that their parents wanted them to go to college but that class isn’t their thing. They didn’t earn their way there, so they don’t appreciate it. It’s not about the achievement! That’s not where the good feeling comes from. It’s about the journey to get there. What will work is to listen to kids, encourage them to follow their passions and to try new things. When they show up to the fencing club day after day, that’s where the growth comes and that’s where the happiness comes. When they head to school day after day and then make those good marks on the test, that’s where the happiness comes. When they then get into the college of their dream it’s when they feel they deserve it since they worked hard for it. You could buy a box full of fencing medals. You could buy a room full of fencing equipment. It seems clear that if you have enough money you could even buy your child a place at an elite university. What you cannot buy them is the pride of winning that medal on their own, or the thrill of getting a college acceptance letter that they worked for. A fencing family took their son to a Paris tournament. He wasn’t regularly medaling here, so I didn’t understand. Previously, a fencer whom I was recruiting for my undergraduate alma mater, father gave me a professional package – including a commercial-grande video. The father told the recruiter that I matched him with, that he would pay full-tuition. The fencer went to Princeton. Who knows how much they paid.